The management of the Federal University of Petroleum Resources Effurun (FUPRE), has released the first and second batch admission lists for the 2017/2018 academic session. 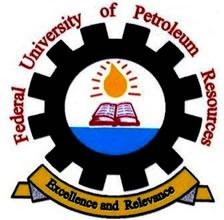 Federal University of Petroleum Resources Effurun (FUPRE) first and second batch admission lists contain the names of candidates offered provisional admission into various undergraduate programmes of the university for the 2017/2018 academic session. 3. Finally, click on ‘Login’ to access your admission status.